Why eliminating the shark fin trade in the United States is bad for sharks and legitimate fishers. In the five seconds it takes to read this sentence, an estimated 16 sharks around the world have been killed. If you read on to the end of the article, that number will have risen to about 770. Every year, fishers haul up to 73 million sharks onto boats across the world’s oceans and trim their fins. In many cases, the rest of the body is thrown overboard to swim without propulsion. And without propulsion, no life-giving water flows over the sharks’ gills. They drown. This is shark finning, a cruel practice that feeds the demand for the Chinese delicacy of shark fin or fish wing soup. From boat to bowl, it is tasteless. To curb the death toll, the US Congress plans to introduce the Shark Fin Trade Elimination Act of 2016. The bill was originally outlined to Congress by the advocacy organization Oceana* as part of a growing movement to outlaw all shark fins across the US. If passed, to sell or possess shark fins would be a punishable offense. It’s the ultimate protection from being made into soup. Strange, then, that people who dedicate their lives to protecting sharks are vehemently opposed to the bill. In a letter to Senator Bill Nelson, Bob Hueter, director of the Center for Shark Research at the Mote Marine Laboratory in Sarasota, Florida, outlines his objections. At best, it’s unnecessary, he says. At worst, it harms rather than helps shark populations. But fishing for sharks within a set quota is completely legal, at least for now. This allows commercial fishers to sell the meat just like any other fish, as well as the skin, liver oil, and, yes, the fins. It’s not finning, it’s heavily managed fishing; a practice that is sustainable and makes use of the entire shark rather than just its most coveted cuts. Fewer fins from the United States would go into soups, sure, but fins from elsewhere would soon fill the bowl. “By prohibiting American commercial fishermen from participating in the shark fin trade, [this bill] actually creates more market share for those countries not practicing legal and sustainable shark fishing,” Hueter writes. Hueter also points out that when the United States banned the trade of elephant ivory in 2014, it was one of the world’s major consumers. Because of this, the ban could turn the tide. But when it comes to shark fins, the United States is a small drop in a vast ocean of trade; only three percent of the Asian imports hail from its waters. “Shutting down the US supply … will have no real impact on this market,” Hueter writes. No bill from the United States can ever change that. “We can’t stop those countries from selling those products,” says Hueter. “That’s not any of our business.” Instead, after meeting with congress staffers earlier this month, he has suggested that they outlaw any import of shark fins from such troublesome countries. ** Such a ban would punish those who practice finning, while allowing US fishers to sell their sustainably-caught fins to the small number of Asian communities around the country. In short, it rewards those who are already fishing for the future. *A reference was added to the work of advocacy organization Oceana, which lays out the case in support of the bill. **A previous version of this story said Bob Heuter supported banning all shark fin imports to the US. Heuter only supports banning imports from countries that engage in shark finning. 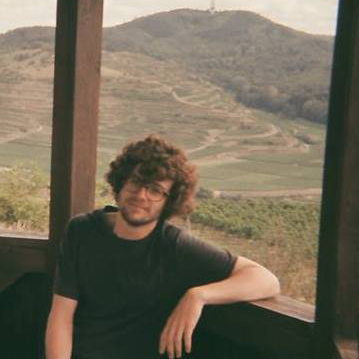 Alex Riley is a freelance science and nature writer based in Berlin. His work has appeared in Aeon, the BBC, NOVA Next, Nautilus, and New Scientist. Cite this Article: Alex Riley “The Shark Fin Ban That Should Be Banned,” Hakai Magazine, Sep 21, 2016, accessed April 26th, 2019, https://www.hakaimagazine.com/news/shark-fin-ban-should-be-banned/. Researchers worry extreme voices in the conservation community may be overshadowing an evidence-based approach. Advances in genetic technology will make us all DNA detectives.